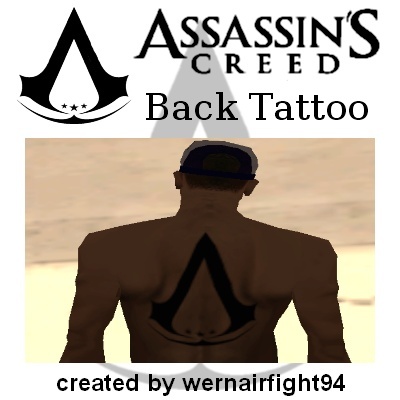 This mod contains: "Assassins Creed Black Back Tattoo". 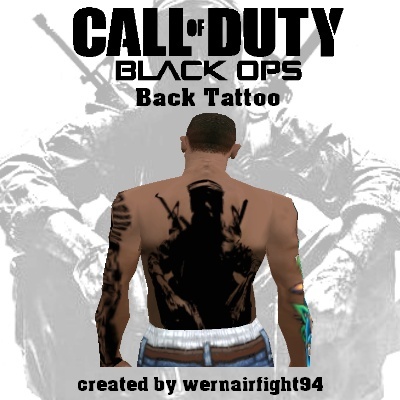 This mod contains: "COD Black Ops Back Tattoo". 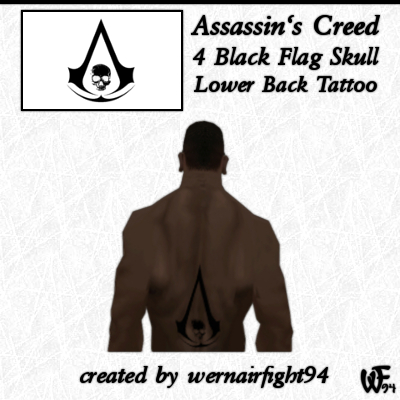 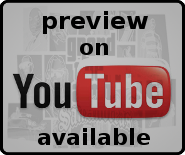 This mod contains: "Assassins Creed 4 Black Flag Skull Lower Back Tattoo".